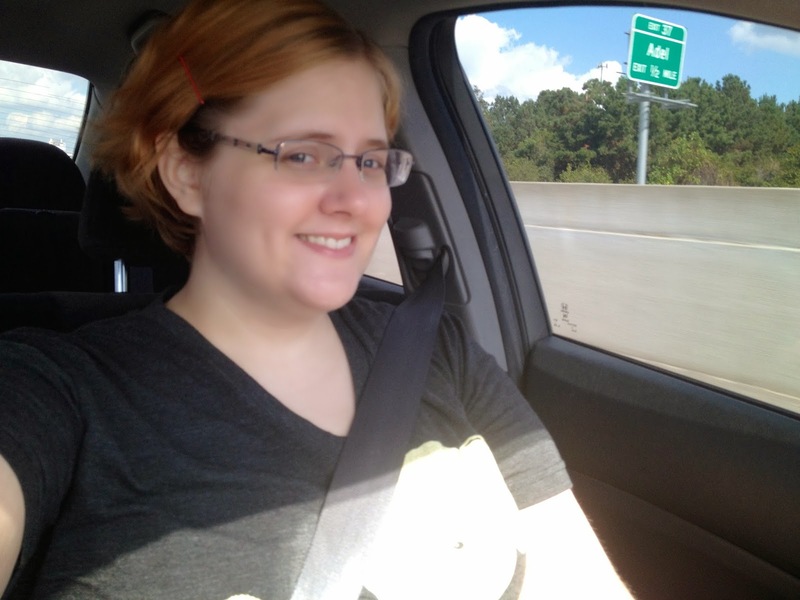 This morning I got up and headed to Florida to celebrate my nephew's and my sister's birthdays. Yay! 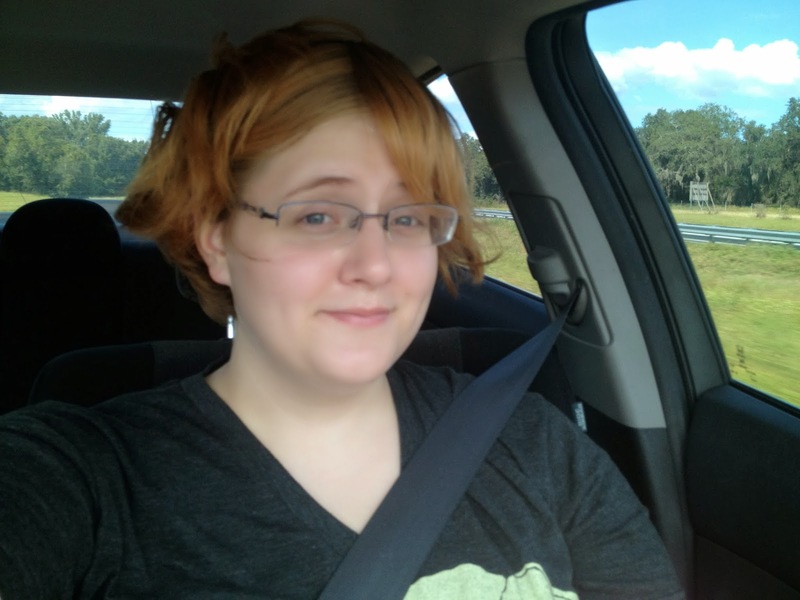 Then I drove with my windows down for a while... it was windy. 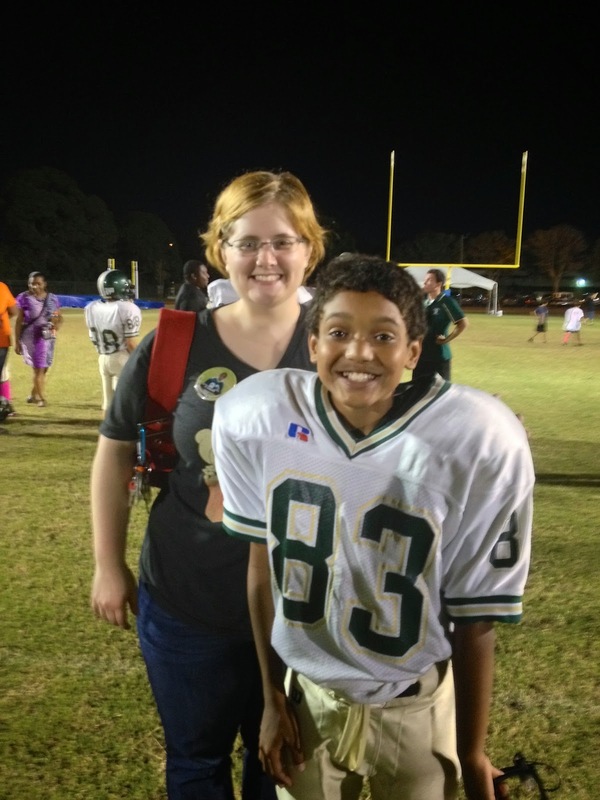 I made it to Florida in time to go to my nephew's football game. He's grown up soooo much! My baby! After the game, I took my nephew and his friend to Wendy's for dinner. 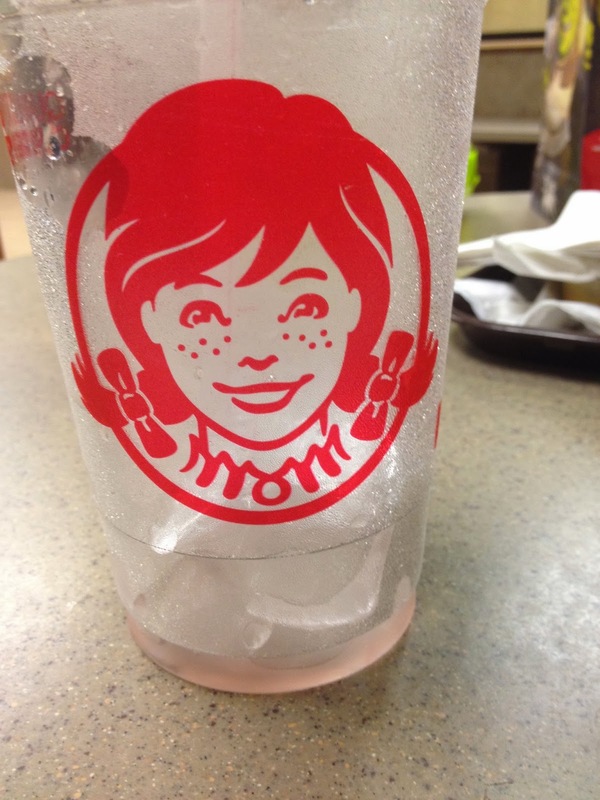 While we were there, Isaiah pointed out that Wendy's collar spells out MOM. Weird. Where we got Magic Bands... with our names on them. Awesome! We want the colored ones, maybe next time?